TGIF everyone. 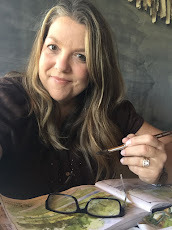 Today I'm sharing a post here and over at the October Afternoon blog. I'm using these stamped patterned paper pieces from the Witch Hazel collection to create some trendy Halloween pinwheels. 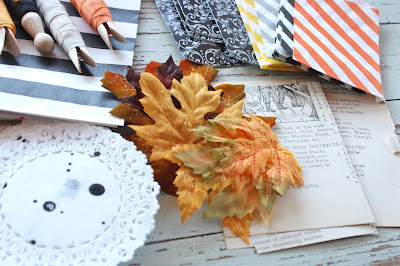 Check out my mini tutorial on how to create the pinwheels at the October Afternoon blog. 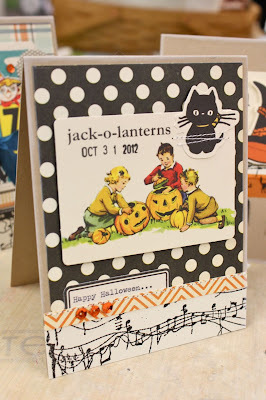 I created these two Halloween cards using my finished pinwheels. 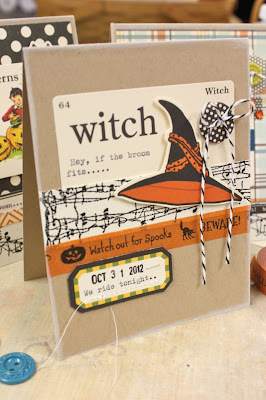 Lots of October Afternoon Witch Hazel product was added to my card fronts including Tin Pins, Buttons and Chip 'n Stick buttons. The large backgrounds are from the Miscellany pack. I'm also sharing an extra project here on my blog using one leftover pinwheel that I had. 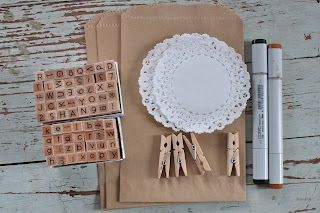 I grabbed some Large Kraft Sacks, Dainty Doilies, Small Clothespins, my Hero Arts alphabet stamps and some Copic markers. 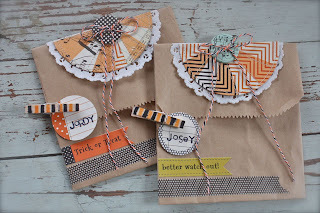 I created two gift sacks that I will use for the girls' Halloween treat sacks. I'll probably add flat items like packs of gum, and some iTunes cards. For the pinwheel embellishing, I cut one pinwheel in half and created a sack topper using a folded Dainty Doily. 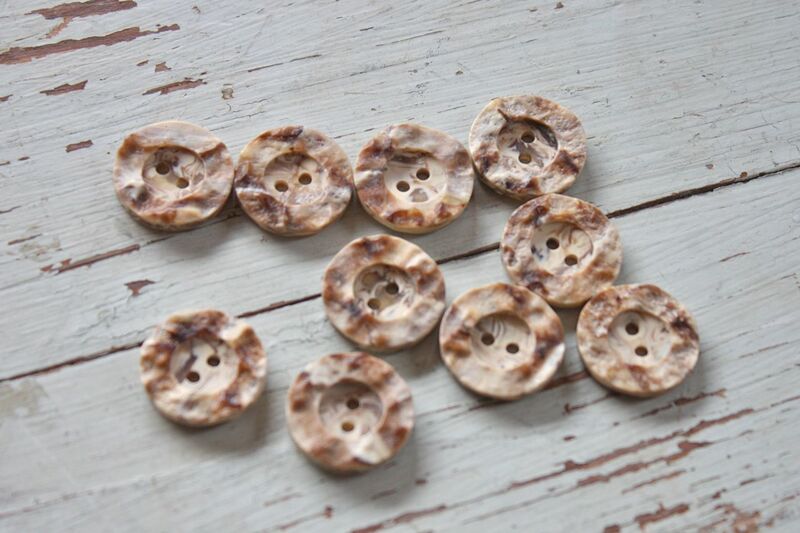 I added tied chipboard buttons to the tops. For some name tags, I used some round Tidbits and the Hero Arts alphabets. For the small clothespins, I used my Copic markers to make some spooky stripes. Woohoo, ahead of the game on the Halloween treats and cards. How about you? 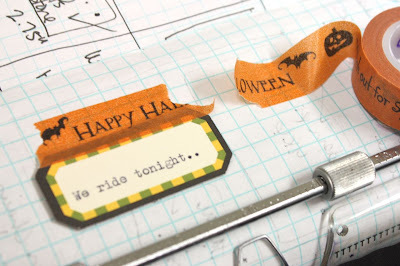 Have you been creating any fun Halloween goodies? Just did me a little shopping at 2Peas for the new Pink Paislee Portfolio items. The clear stamps, Tiny Tabs, Ephemera pack and Embossed Chipboard Album are a few of my favorites. I've also been busy organizing my mealing planning venture and the Crockin' Girls recipes are big faves. I've also been pinning a lot to my Pinterest boards in the Crock Pot Recipes and Freezer Meals sections. I've got new items in my shop also, including a brand new Mixed Greetings Card Kit, some vintage finds and lots of Fall and Halloween goodies. That about does it for me for the week. I've got to do some shopping for Jordan's upcoming birthday, organize her sleepover with friends and get to decorating for Halloween. Homecoming is tonight, should be a great night for a football game. Have a great weekend everyone! 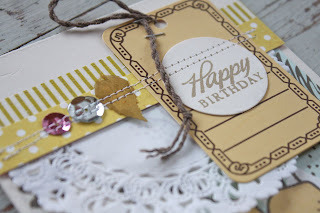 Back today with a fun tutorial on how I used finished cards from the Mixed Greeting Card Kit + some of the other new shop items to create a birthday card and gift for my mother-in-law. You can find the new kit and all of the other shop items here. First up I wanted to use one of the cards from the Mixed Greetings Card Kit for my mother-in-law's actual birthday card. 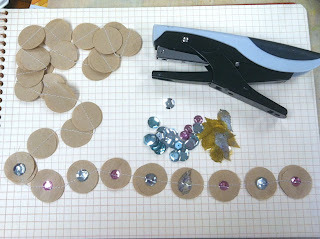 I pulled out some sequins from the Vintage Findings Packet and stitched them to my card pieces with my sewing machine. 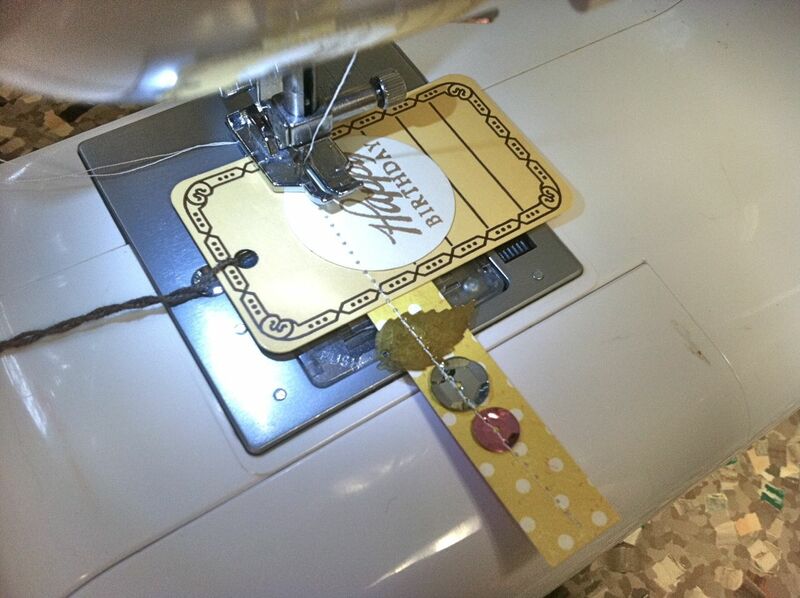 I then adhered that entire stitched piece to my card front, using a Dainty Doily as another addition to my card. Here's my finished card. Very simple still but with just a few extra embellishments. If you like the look of the buttery yellow tag, those are available by themselves in the shop here. 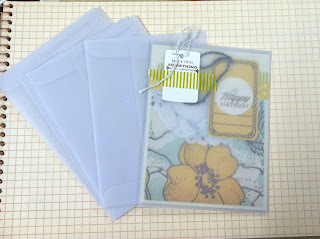 I love the look of vellum lately so I packaged my card into an A2 Size Vellum Envelope from the shop. 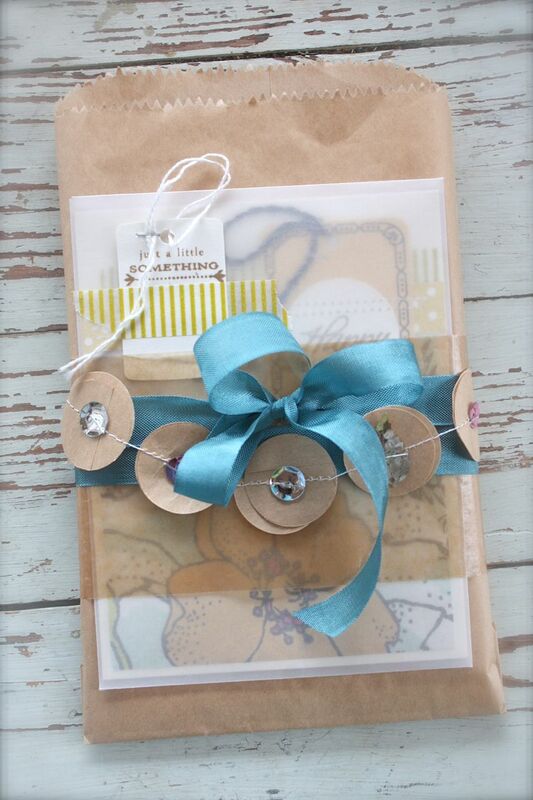 You get 10 in a packet to use on your own handmade cards. Using a tag and the Washi from the card kit, I stamped a sentiment and adhered the tag to the vellum envelope. Just love that look of being able to see a beautiful card inside. Next I was ready for the card packaging. I used the rest of the cards from the card kit as a gift to my mother-in-law who loves my handmade cards. I tucked them into one of the brown paper sacks that come with the kit. I just added Large White Sacks to the shop too. 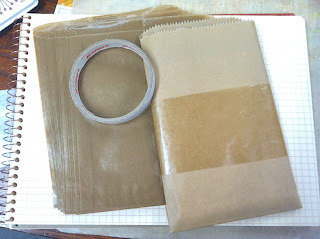 Using a strip cut from a Waxed Paper Sack, I attached it to my sack using Scor-Tape. Next I took about a yard of the blue-ish seam binding from the Seam Binding Trio and wrapped it around my sack. Next it was time for some more wrapping. 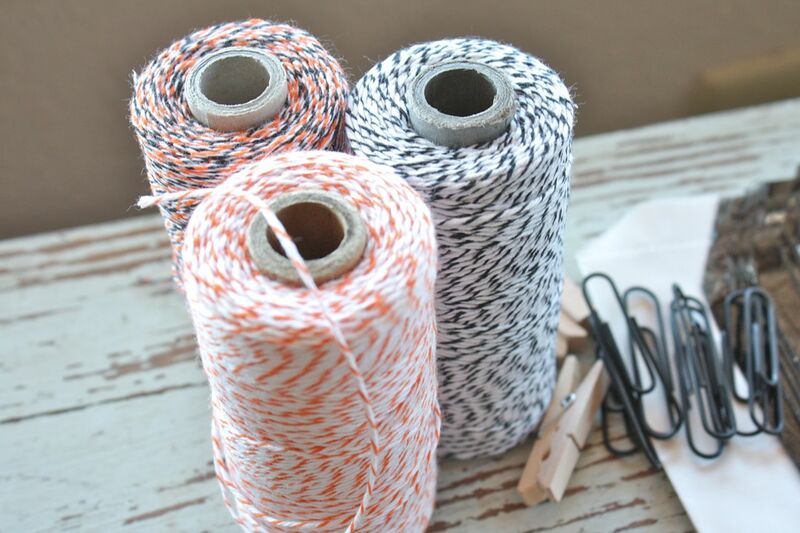 Ever wonder what to do with those Studio Calico sacks that your kits come packaged in? Make garland. Simply punch a bunch of circles and stitch with your sewing machine. I had a long length on hand so it was perfect to use for my packaging. 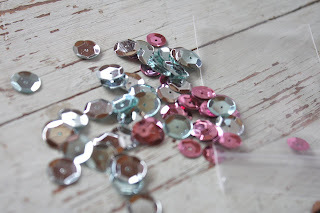 I took some sequins from Vintage Findings Packet and stapled them onto each circle. I then tucked my card in the vellum envelope under the waxed paper wrapping. 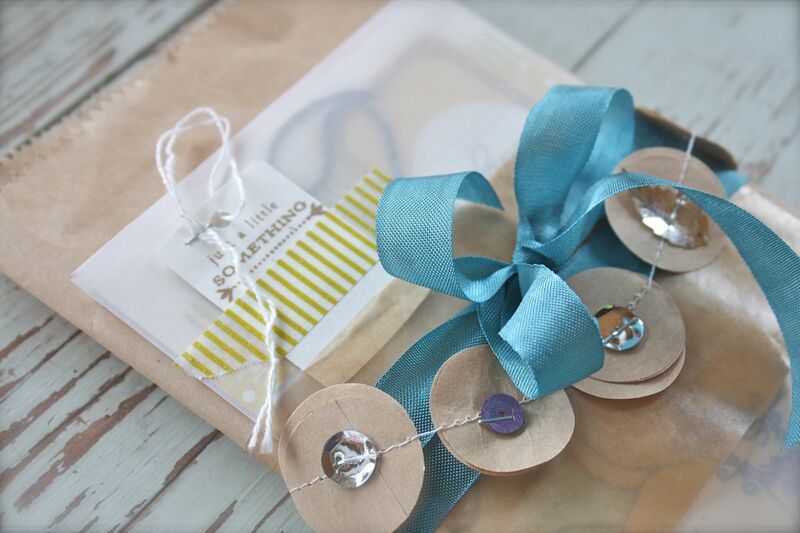 I then wrapped my garland around the packaging and secured to the back with more Scor-Tape. And it's a wrap. A simple little gift item that will be much appreciated....with cute packaging that can be re-gifted to another friend. As another idea, this same packaging could be done with the Clear Card Boxes in the shop. Hope you enjoy! I'm off to dress Charlie up as a buffalo. Yep, a buffalo for the Homecoming parade tonight. We're praying for the rain to hold off so all the kids can ride on their floats. Then it's a BBQ supper in the park with a bonfire. Good times for my sweet reds. 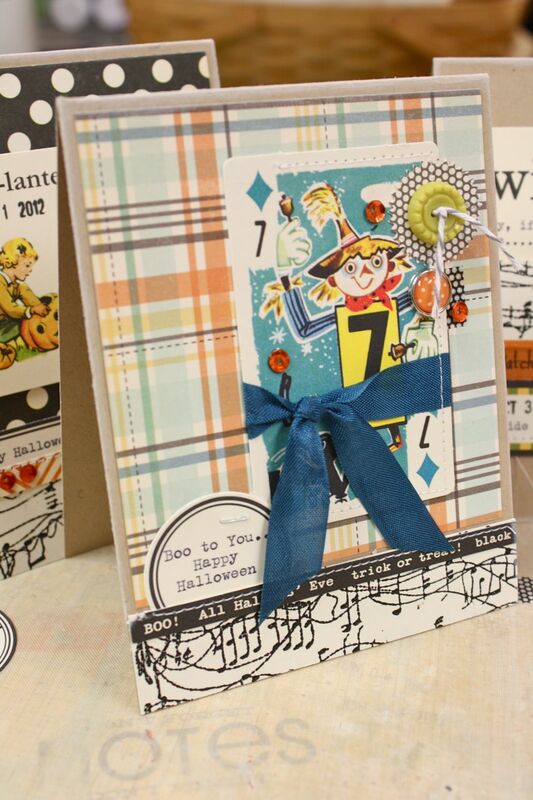 Edited on 9/26.....The card kit and other new shop items are now available here. Hey there, a few new items coming to the shop. 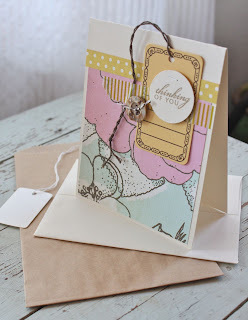 This week I have a new card kit to share called Mixed Greetings Card Kit. It's a simple kit to assemble that comes with blank punched circles. You can any variety of stamped sentiments or images to create endless card combinations. Or you can purchase my Happy Stamper add-on and receive your circles stamped with the images you see in the photo below. This is a great kit to build up your own personal card stash or it's a great way to add cards to your stash you've been saving up to give as holiday gifts for teachers, family and friends. You'll receive all the items in the kit unassembled. 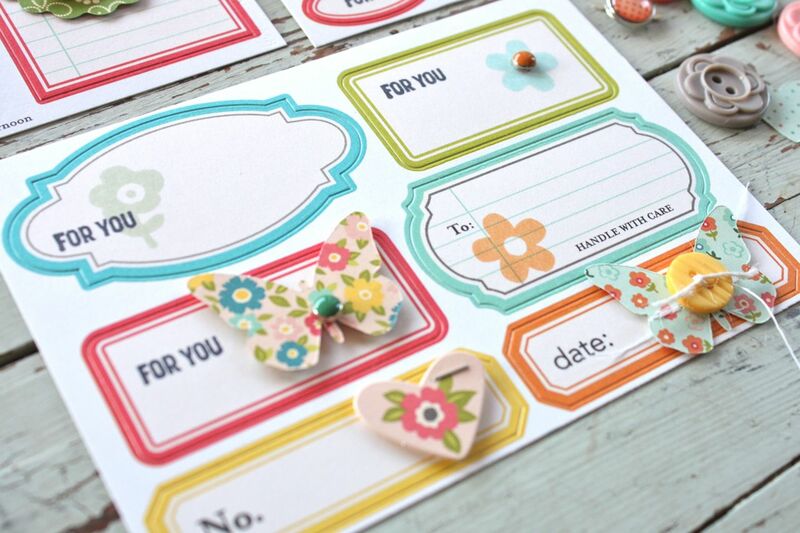 Simply use your own adhesive to assemble the cards. 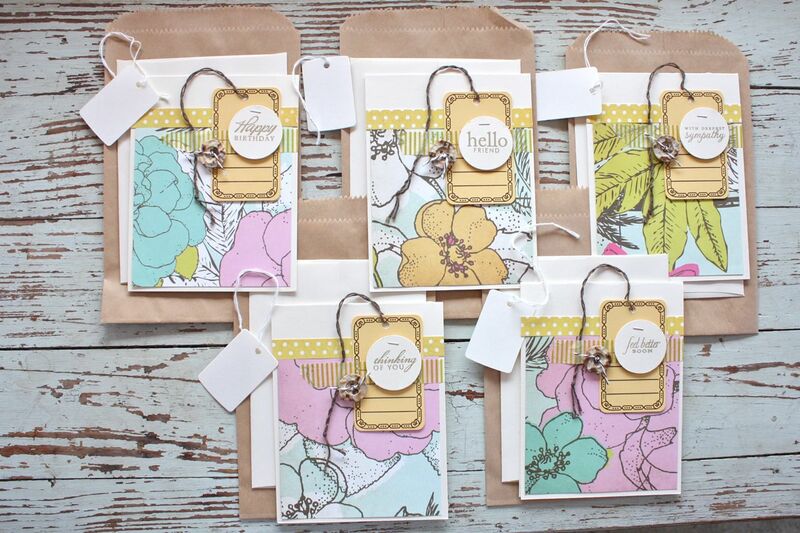 You'll end up with 5 completed cards with blank envelopes + 5 brown paper sacks with 5 blank tags for gift giving. Tuck the cards inside the sacks along with a small gift. 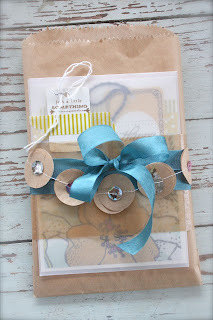 Tuck a gift inside the sack and keep the card on the outside. 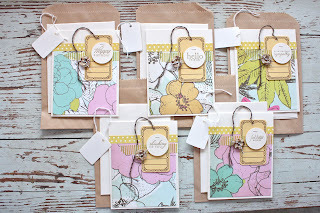 Or use the cards all by themselves and save the gift sacks for another use. It's all up to you. The cards in the kit have a pretty floral background paper from Fancy Pants. 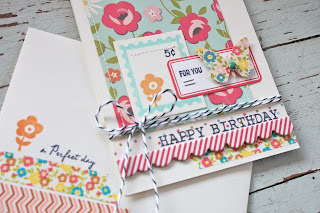 I topped the card off with a printed hang tag, sentiment circle, a strip of coordinating polka dot patterned paper, Washi tape (you'll receive a full roll in your kit) and a tied vintage button. Feel free to further embellish the cards with stitching, stapling etc to add more detail. 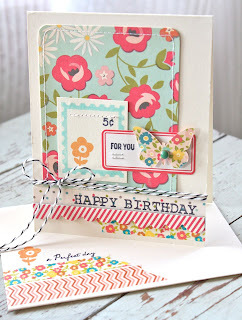 My tip for this kit: Lightly adhere the printed hang tag to the card front. Apply Washi tape over the tag, placing the tag string under the Washi tape. 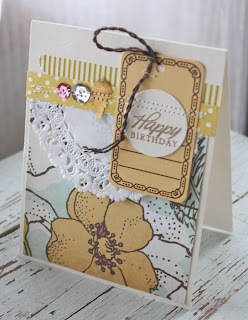 This keeps the string in place and adds visual interest to the card. 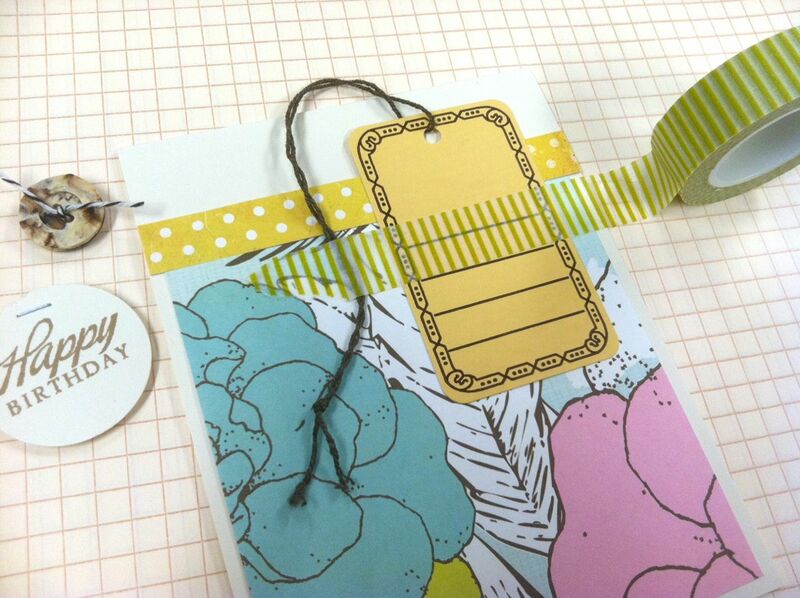 Add the punched circle piece to the card front using pop dots for added dimension. Then finish up with a tied button. I'll also have a few more shop items along with the card kit. 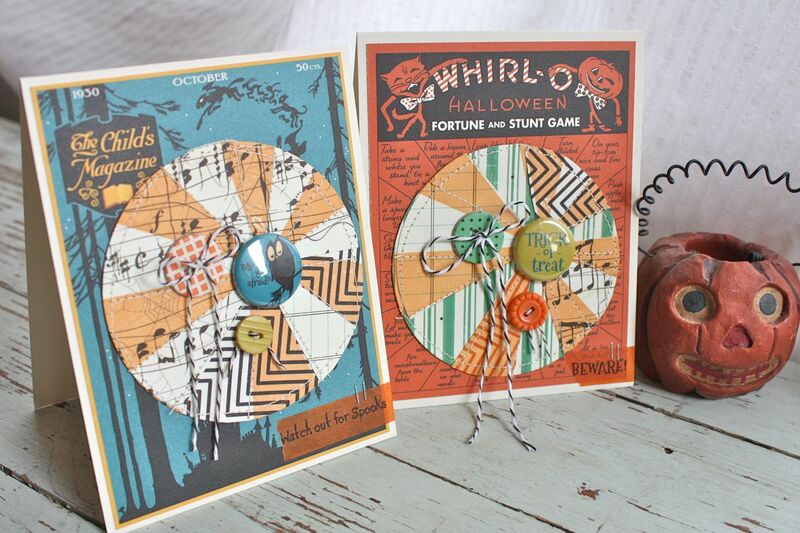 A favorite of mine are some Vintage Finds packets that will be offered in very limited quantities. 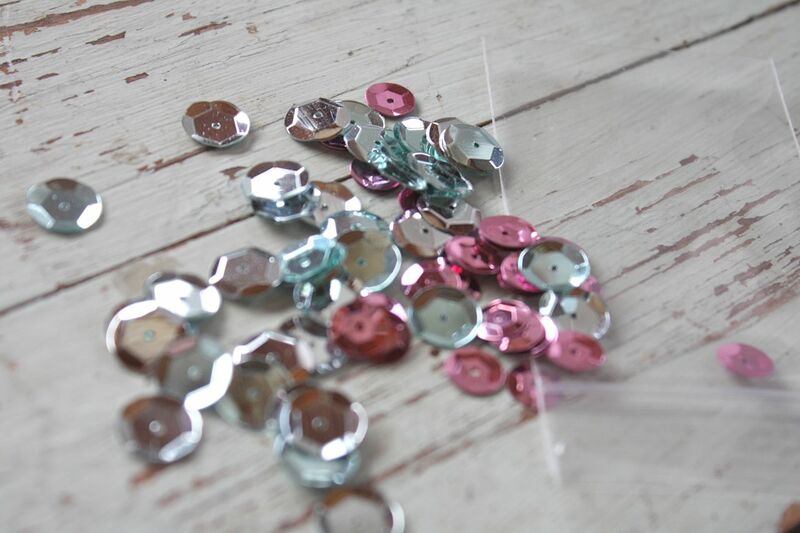 I've been hoarding these vintage sequins but they coordinate so well with the card kit that I had to break out a few from my stash. 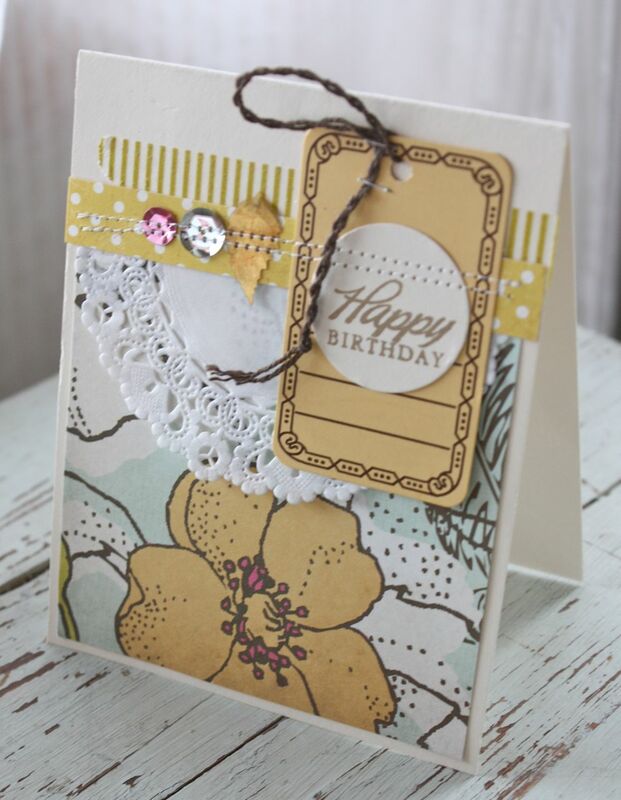 These pretty seam bindings in 3 colors also coordinate with the card kit or just use on other projects. Perfect for cards and gift packaging. I have some leftovers of these unique, shell-like buttons. Lots of dimension and texture for cards, etc. And that wraps up my upcoming shop update. 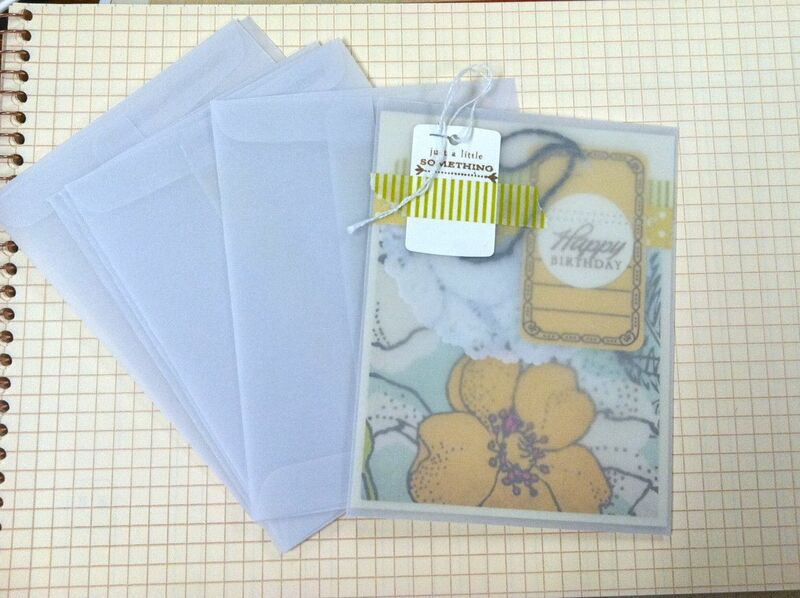 The tags, envelopes and sacks used for this card kit are also available as individual items in the shop. You can view the full shop listings here. 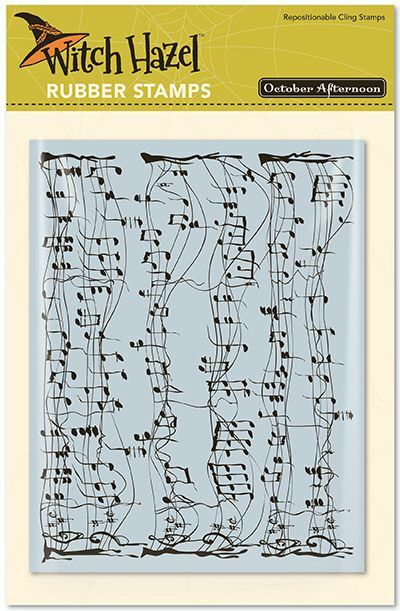 The cards from the kit would also be very pretty packaged in the vellum envelopes. For the brown paper sacks, any of my grid labels would be great to run through a vintage typewriter for a personal greeting. 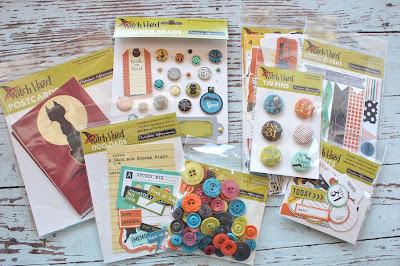 Just in time for Fall projects are the Autumn Kraft Packaging Kit, Striped Treat Sacks Kit, Dripping Doilies and Vintage Halloween Buttons. 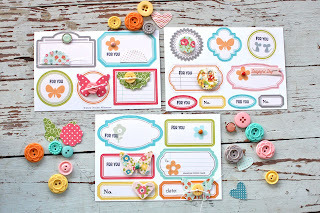 My shop update with the card kit and other items shown today will happen tomorrow before noon. Look for tweets and Facebook updates. 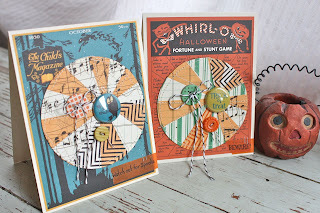 :) I'll have another post soon showing you how you can fancy up the cards in the kits with some of my new shop items + I have a fun idea of how to use those vintage button cards to create gift packaging tags. Stay tuned. October Afternoon Midway is now stock! 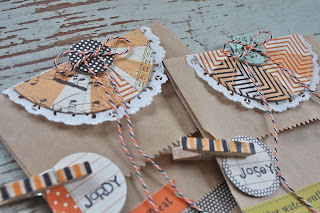 You can check out my October Afternoon Midway Blog Hop project here with a list of the other DT members projects linked up too. Hope you're having a great Sunday. It's beginning to look a lot like Fall around here....the trees are turning color slightly, there's a crisp bite to the morning air, Friday night football is in full swing, this week we're decorating floats for Homecoming, a lot of crock pot cooking is happening....and my beloved flip flops are feeling a wee bit chilly at times. Love this time of year. 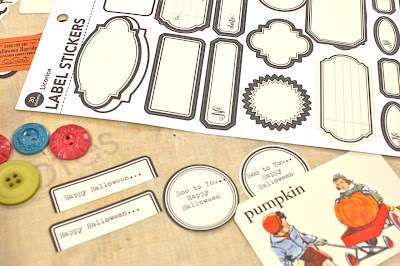 Hey there, today I have a post up at the October Afternoon blog showing you how to use Label Stickers, stamps and other OA embellishments to create fun accents for cards, scrapbook pages and packaging. 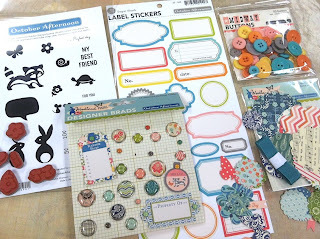 I used Label Stickers from the Midway collection and all of the other stamps and embellishments are from the Woodland Park collection. 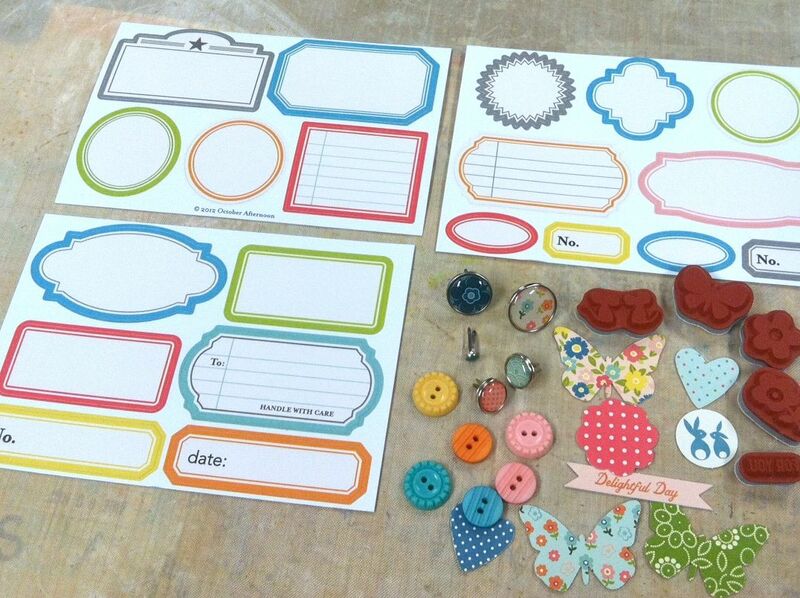 I started out by cutting my Label Stickers sheet into three separate pieces to create 3 smaller sheets to work with. 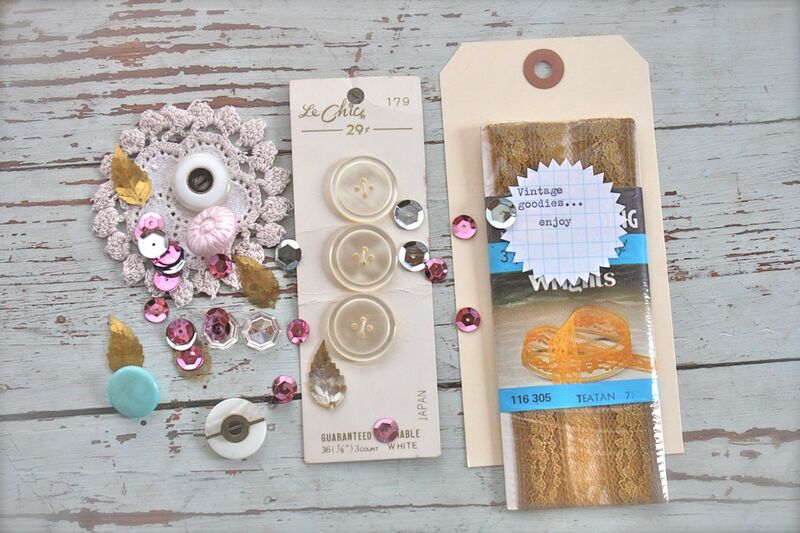 I selected small bits and pieces from my collection of buttons, brands and small paper embellishments. I also selected stamps that would fit perfectly in the label shapes. 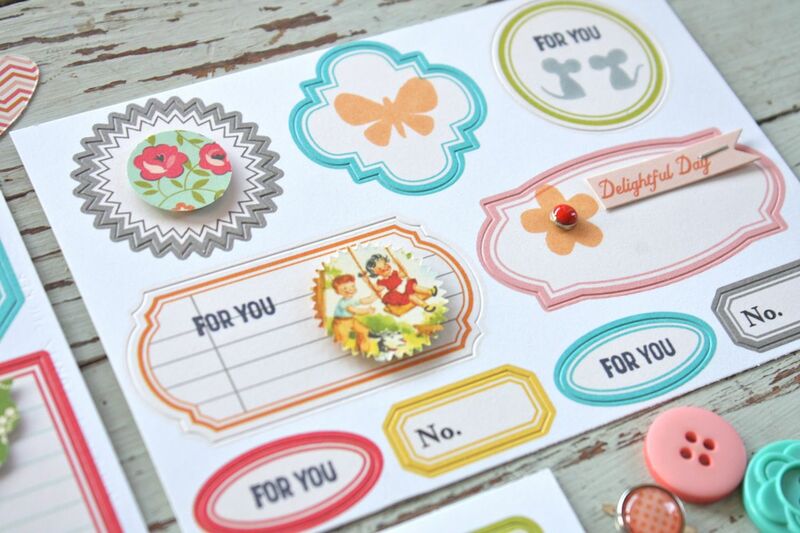 I ended up with three colorful sheets of stamped and layered labels that use die cuts, tied buttons and brads. 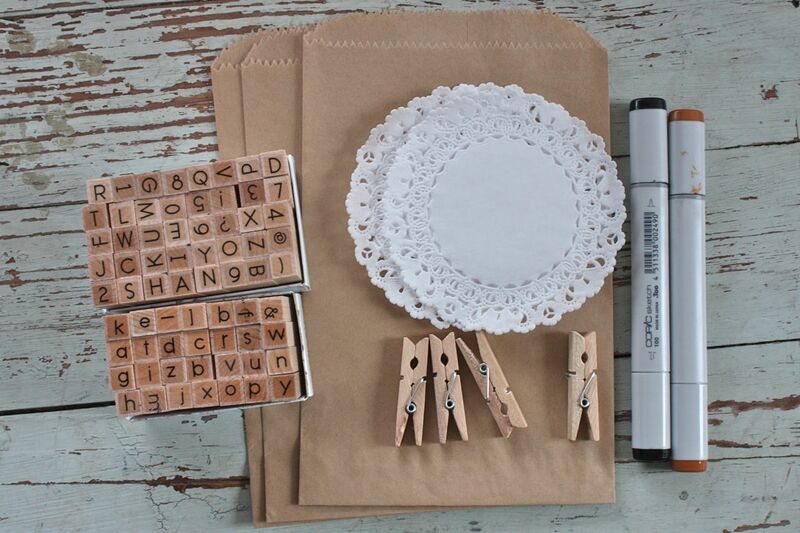 These can be used to create accents for cards, small journaling blocks for scrapbook pages and Project Life inserts or instant name tags to attach to wrapped gift boxes or bags. Just peel off the label and stick it to whatever you want. For the labels that have brads, just remove the brad from the sheet, peel off the label and reattach the brad to the finished project. You can create all flat labels by using stamps only. 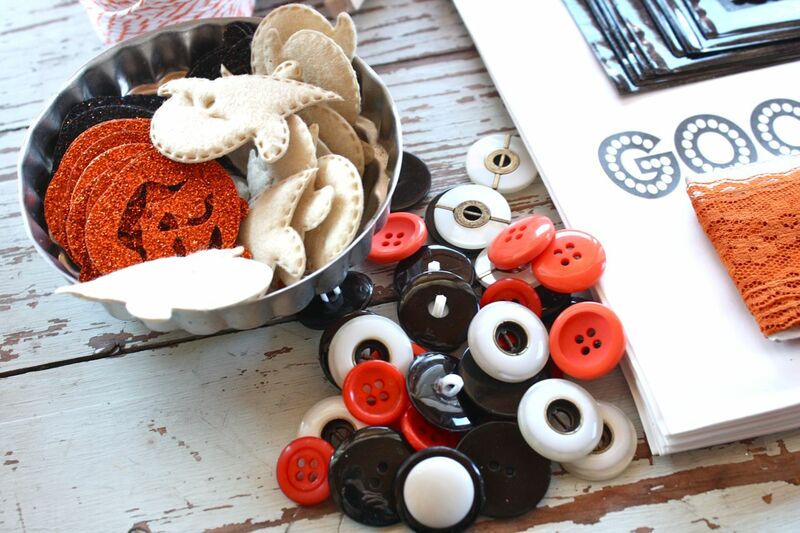 If you want a dimensional look, add details like brads, stitching, tied buttons and pop dots to attach embellishments. 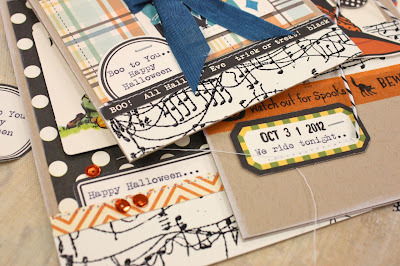 This is a great way to use all the little tidbits and small items from your stash of October Afternoon goodies. 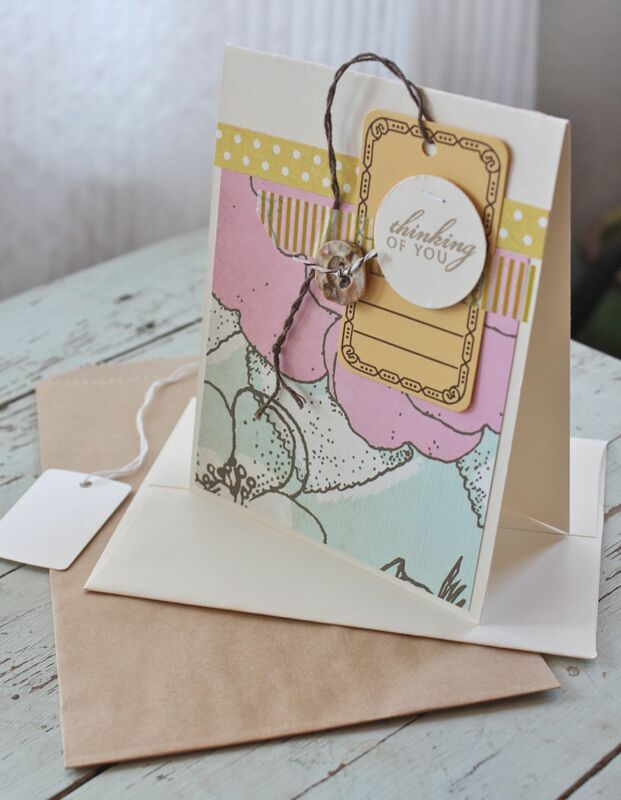 Here's a card and coordinating envelope that I created with one of my embellished labels. 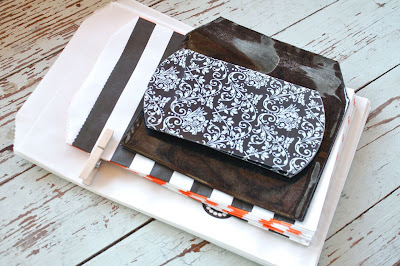 I created my card base using Woodland Park papers, a chipboard accent and Washi tape. The postage stamp piece is stamped with images from the Woodland Park stamps. I added some small staples to my embellished label and then added it as a finishing touch along with some baker's twine. 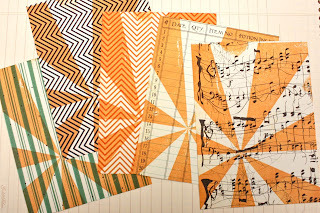 I love to create coordinating envelopes so I used Washi tape and more stamps on the front of the envelope. 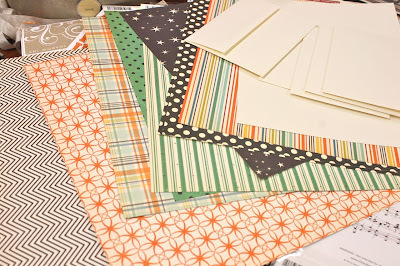 Washi tape is great for envelopes because it stays adhered and is very flat for mailing. 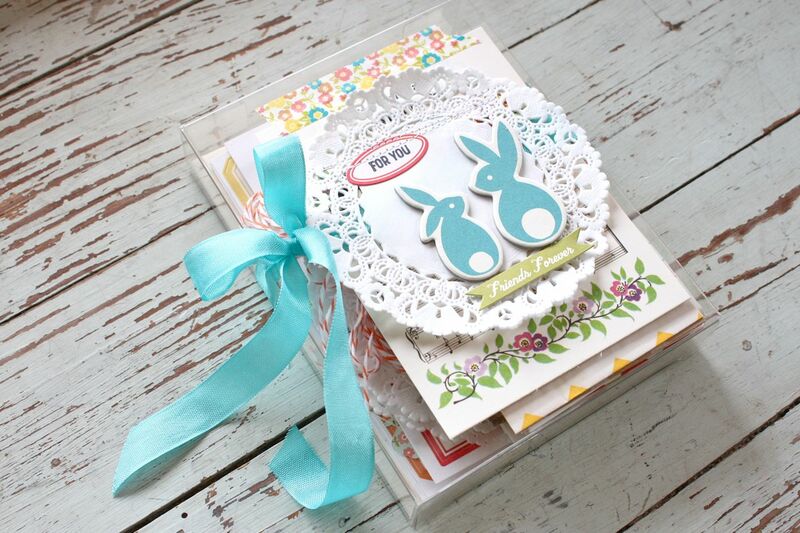 I love all the dimensional details on my card and the embellished labels make it so easy to assemble a set of cards. 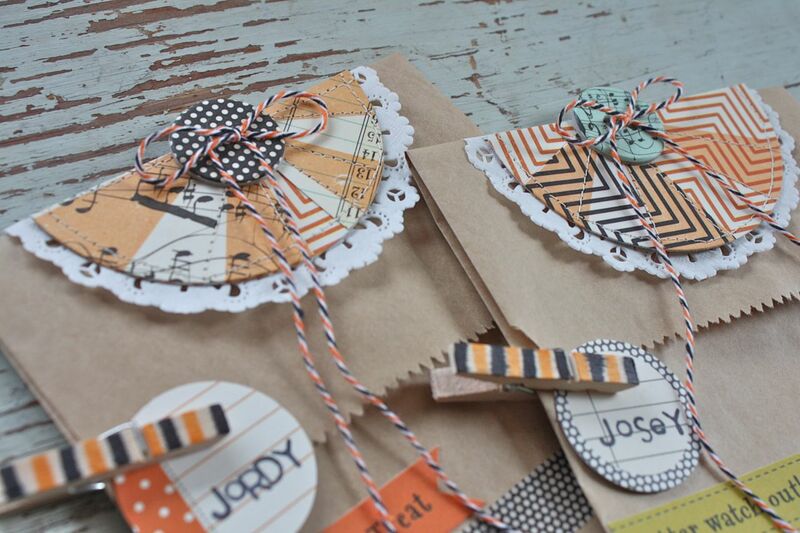 I think the labels are so darn cute that they'd make a great gift for a crafty friend. 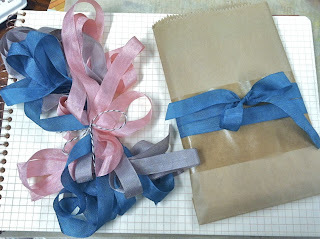 I gathered up my three label sheets along with some blank cards & envelopes, some small sacks for gift giving, some doilies and a little bundle of baker's twine. 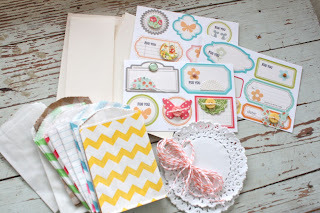 The recipient will be well on their way to creating some fun cards and small gift sacks. 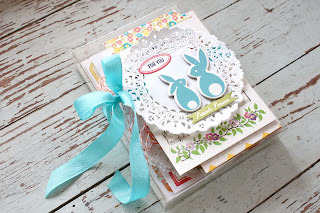 I tucked all the goodies inside a clear card box and tied on some aqua seam binding. 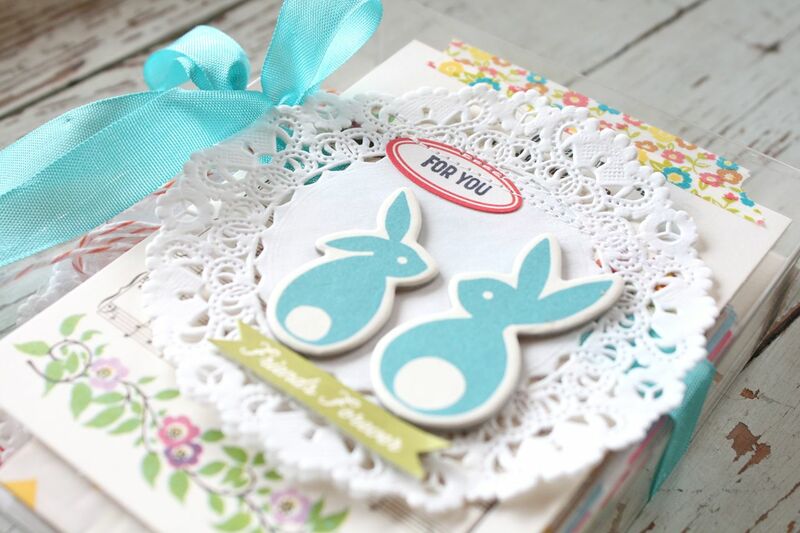 I created a large layered piece to top the box using a Miscellany piece layered with a doily and chipboard bunnies from the Printed Chip Shapes. I machine stitched over a small stamped tag and added a little tidbit flag beneath the bunnies. Hi, I'm back today to share something very fun. Many of you that have followed my blog have found my Inspiration Station posts to be some of your favorites. In these posts I've shown you my own baskets brimming with my crafty favorites for that particular holiday or season. 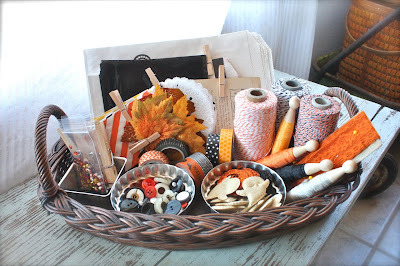 Today I'd like to share with you exactly how I go about shopping my own stash and assembling an Autumn crafty basket for this Fall and Halloween season. I recently offered many Autumn Basket goodies to my shop so I'll be using many of those items + some other stuff from my personal stash. 1. Collect and gather...Use new collections and always shop your own stash. No need to get out every item you own. Keep it rather simple. 2. 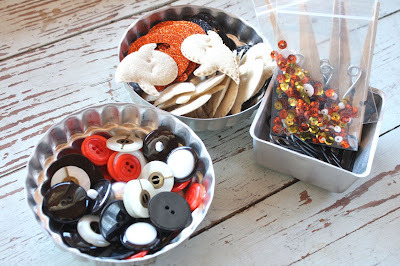 Organize.....Group like items together so they are easy to find. Digging through a cardboard box with piles of stuff layered in is not the idea here. 3. Display.....Find a basket or tray to display your items so they are within easy reach but also pleasing to the eye when sitting out for an extended period of time. Think of it like creating a fun display for a small boutique. 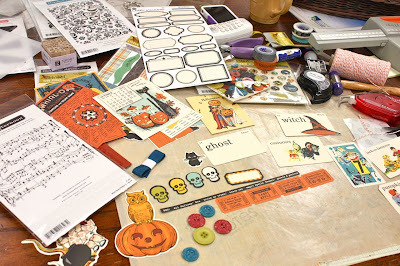 So first up I gathered Fall and Halloween items from my stash. Most of the items you see below are shop items that I offered up in the shop this last week. 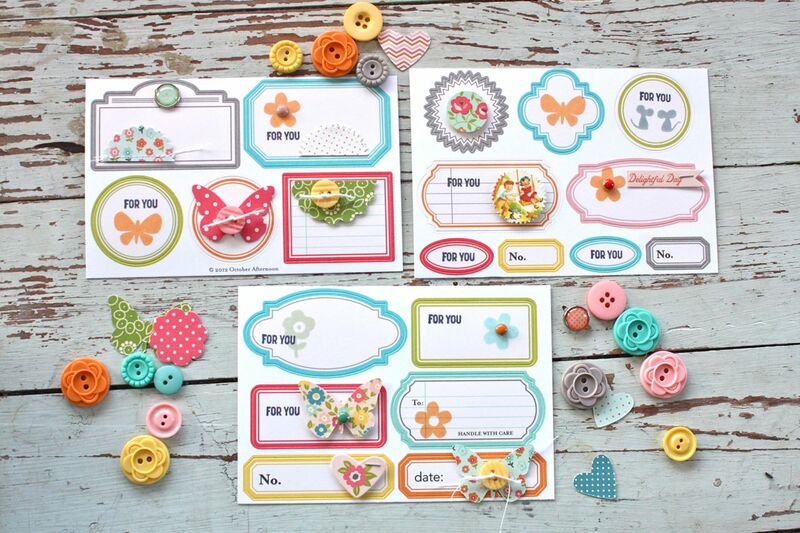 I like to select products that can be used for cards, gifts and scrapbooking. I've got a variety of sacks in different colors and sizes. Perfect for holding cards and small gifts. 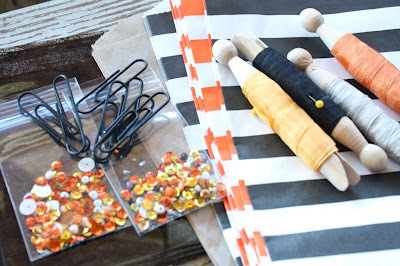 The ribbon is from the Seam Binding Trio along with the Vintage Sequin Confetti Sacks and some black paperclips from the Striped Treat Sacks Kit. 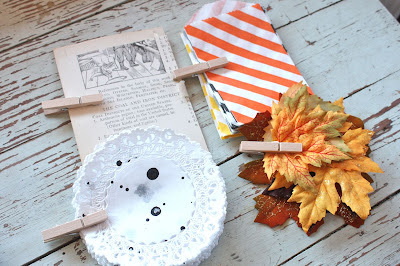 Below I have Dripping Doilies some leaves and old book paper that are all found in the Autumn Kraft Packaging Kit. 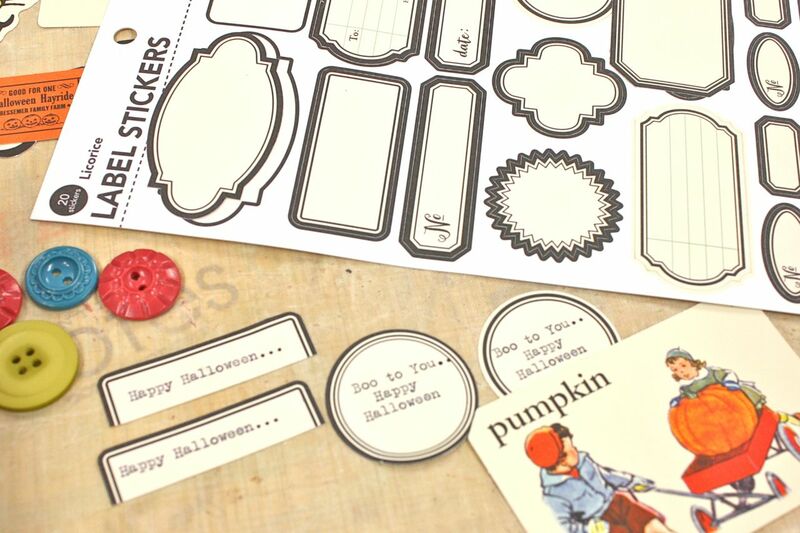 The items from this collection will be suitable for all Fall and even Thanksgiving projects. I have twine in all colors so I just selected the ones suitable for my Fall projects. I could easily add in some yellow and brown to the mix too. 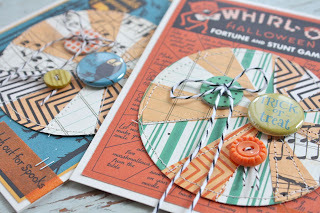 More little items from the Striped Treat Sacks Kit plus a nice pile of the Vintage Halloween Button Assortment. 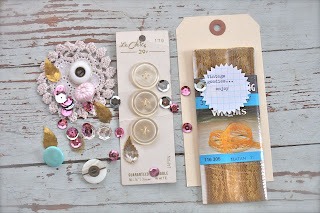 Here I have some Vintage Rust Lace, a few of the Washi tapes from my Autumn Basket shop goodies plus a few more from my stash. Okay, so next up I need to organize my stash of items. You'll notice that almost everything I have is out of it's packaging. I like to see product without all the wrapping as I think I'm more likely to use it and not be a Halloween hoarder. Here I have all my flat sacks and envelopes staked together. Next I took the smaller flat items like the book pages, small sacks, doilies and leaves and clipped them together with small clothespins. This is extremely helpful in keeping items nice and tidy. 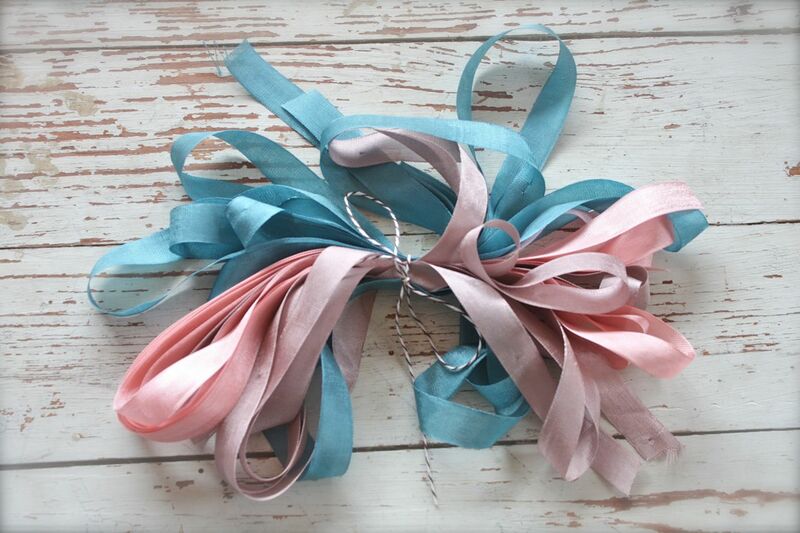 For ribbons, laces and twines I like to wrap them around cardboard or old fashioned clothespins and secure with long stick pins. Having a bunch of loose ends just makes a mess. For small items, you know I love my old jello molds. They're perfect for dumping stuff in and it makes all the tiny items very visible. Again, if you see it you will be more likely to use it. 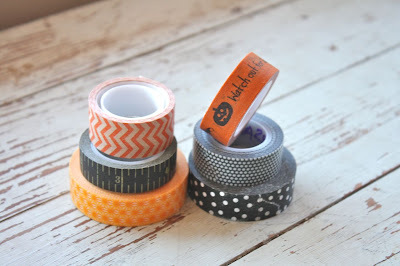 Washi tapes. 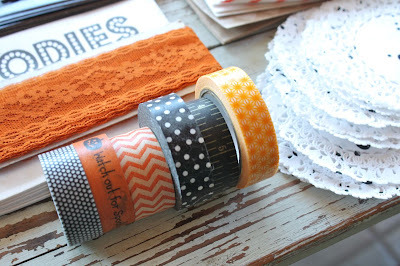 Wonderful Washi tapes. You might have a bazillion in your collection but each project doesn't need to show it. Just grab a few that fit the theme and call it good. The bottom left were from my Autumn Basket shop update and the two top ones on the right are new from the October Afternoon Witch Hazel collection. Next up it's time to create a fun display of my Autumn items. I like to use woven baskets or woven/metal trays that have low sides for my displays. A deep basket will prevent you from seeing all the goodies inside. Today I'm using a sturdy woven tray with handles that I got from Nell Hill in Atchison, Kansas. 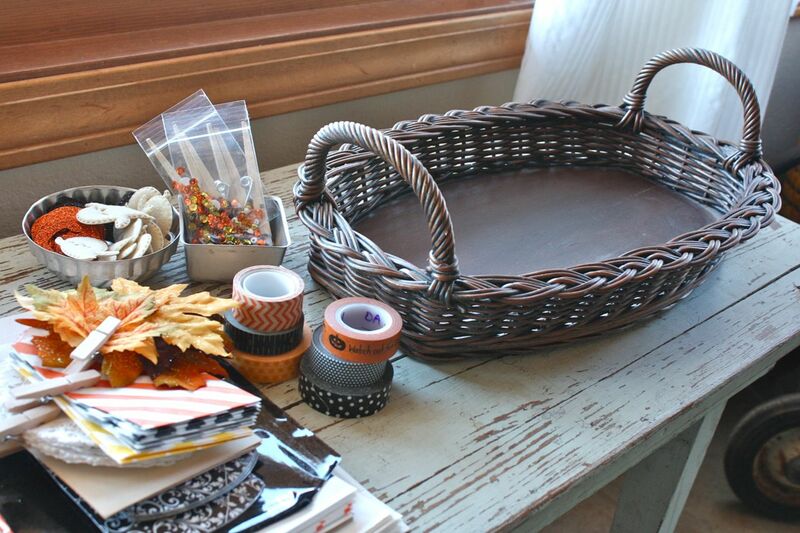 It's a great home goods shop that promotes these types of baskets for all kinds of uses. 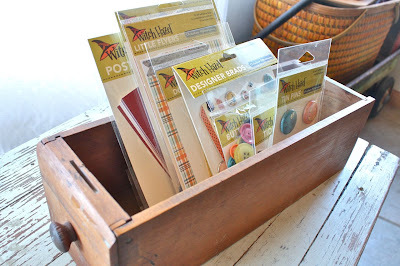 Having a few good staple baskets/trays like this can be so helpful in your household organizing. I have several and use them for crafty storage, displaying holiday items, holding silverware & napkins for a party, carrying snacks to the Lounge for a tv night. All kinds of uses. Get you some good baskets. And then I just neatly tucked all my Autumn goodies inside. I start with the tallest items in the back and then just add items in ending with my small items in the front. It's very organized, I've got a nice sized but not overwhelming collection of items and they're displayed in a fun way. 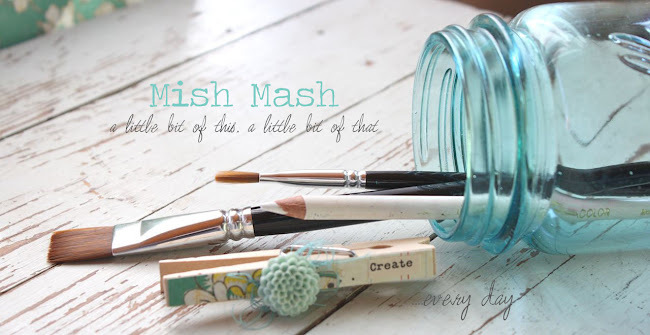 If this doesn't tempt me to create something fun for Fall, nothing will. Okay maybe these new October Afternoon goodies will. :) So many companies are now offering a wide array of crafty goodies for one particular line. October Afternoon always, always does a fantastic job of this. Even before I became a Design Team member I always purchased lots of the pieces and parts of a line. It's just that good. 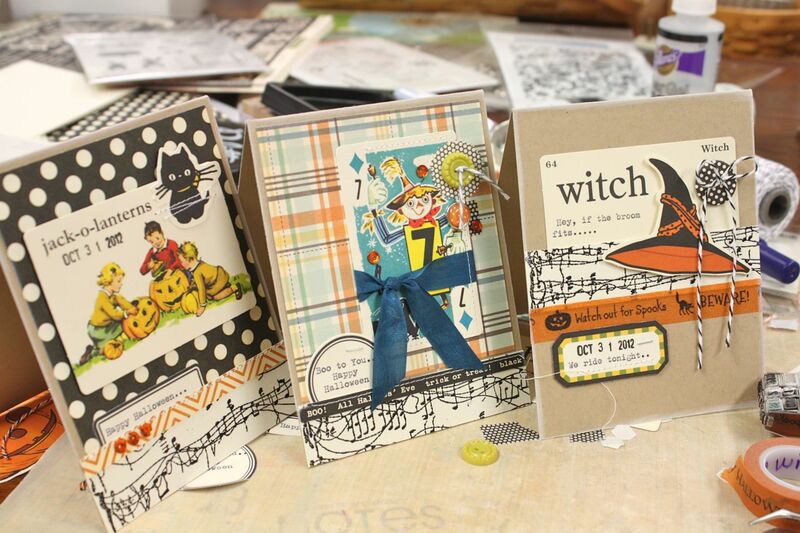 You can see the line of Witch Hazel products over at 2peas right here. And if you're not into buying too much "themed" product or items that are too matchy/matchy, don't worry. Every collection from October Afternoon and most other companies too has a fantastic mix of specific themed items + items that can be used for everyday type projects. 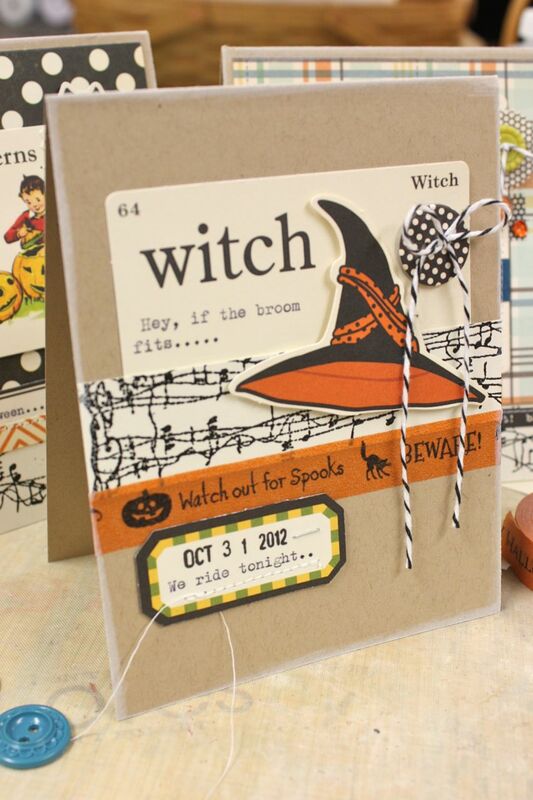 So for example with the OA Witch Hazel line, you will definitely notice the Halloween themed papers and doodads. But if you look closely at the back of many of the patterned papers, labels and embellishments you'll see that the designs are very generic in nature. Perfect if you like the mixy/matchy look like me. When I get a new collection of goodies, I do tend to keep them in the packaging for a while. I said before that I like to take everything out of the packaging....but while it's all still new and shiny, I like to keep items together. Then after a while I rip it all apart and store it all together. But for now I'll keep the Witch Hazel packages in something like this old sewing machine drawer. And I couldn't forget about the patterned papers. Usually I will mix and match papers from my stash and will not purchase special themed papers. Those specific papers tend to never get used because the patterns might be too big or I just buy too much. But again, that's what I love about OA papers. 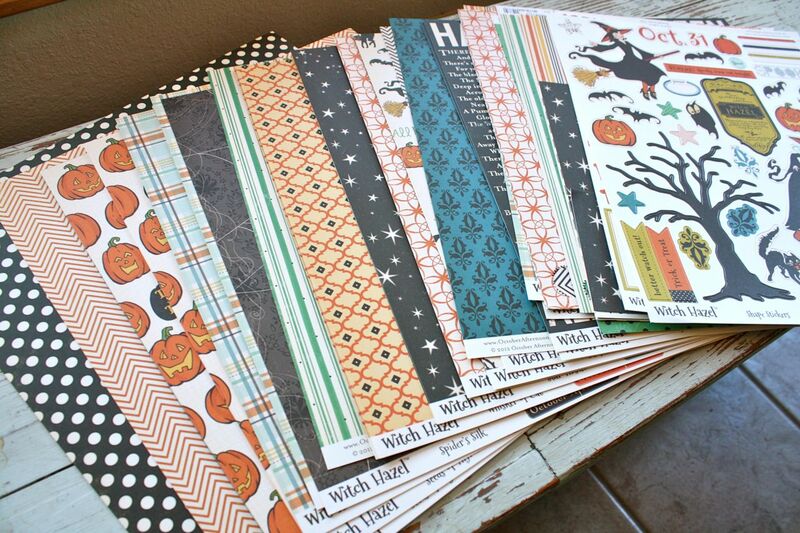 There's a little something for everyone and I know that some of these papers will be used for many projects that aren't Fall or Halloween themed. And that concludes my post for today. 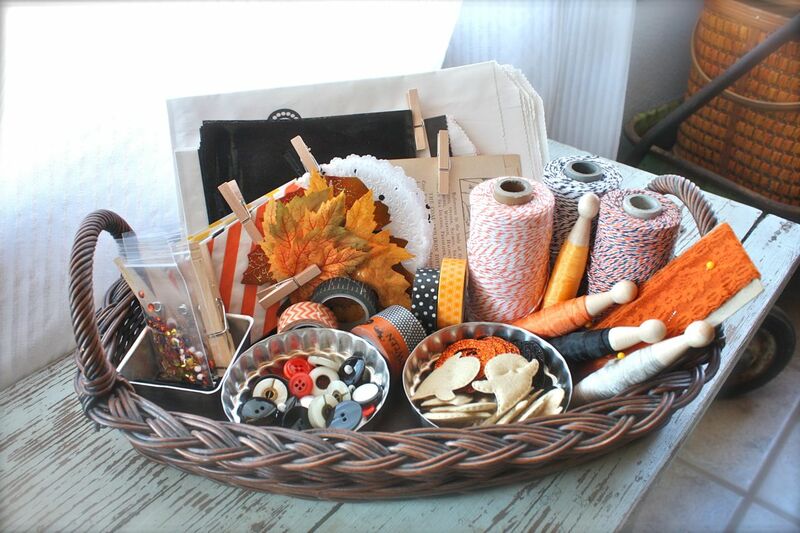 I hope you are excited to get to your crafty space and whip up a little Autumn Basket of your own. Have fun! Edit: Look what just arrived at 2Peas. Witch Hazel is in! You can find the new items right here. Hey there everyone. 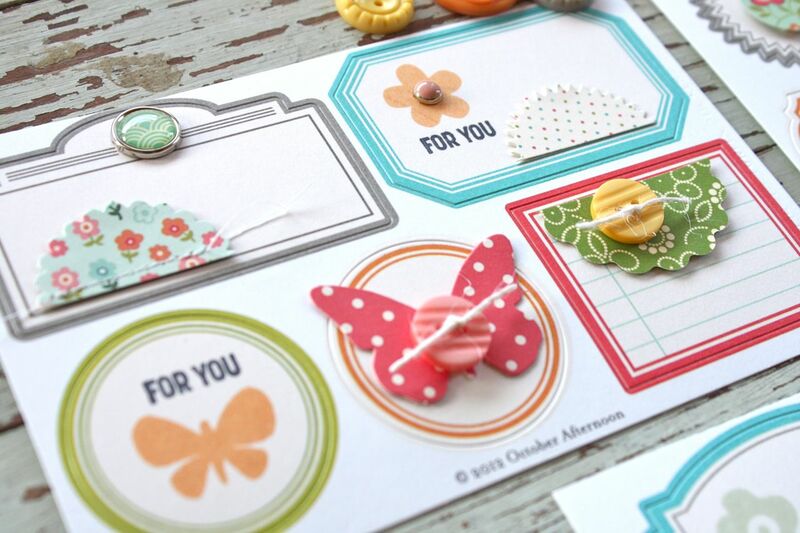 Today I've got a post up over at the October Afternoon blog showing you how to create border strips with background stamps. 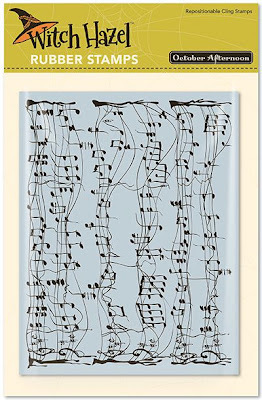 My stamp of choice for today is the Spooky Music background stamp. You can get further instructions at the OA blog. The entire October Afternoon Halloween line called Witch Hazel will available in stores soon. I had so much fun selecting elements to use on my cards. 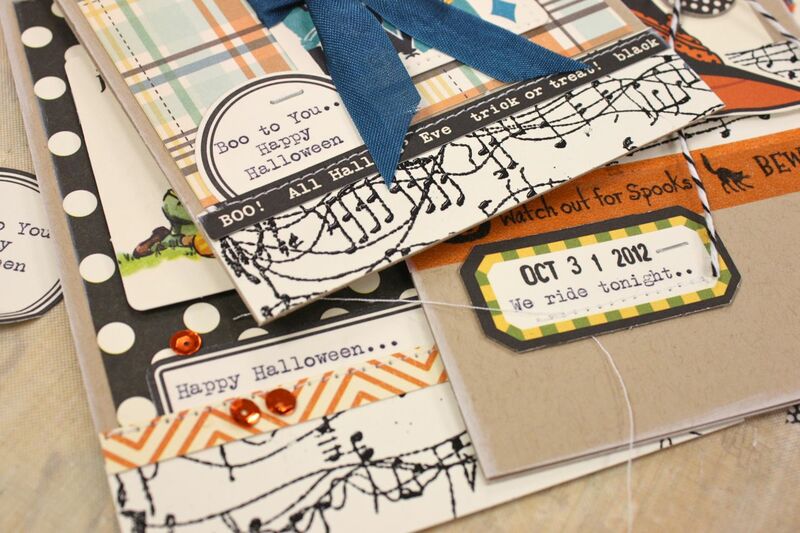 This line has all the traditional Halloween colors with bits of teal blue and a fun green thrown in. The papers are always a show stopper for me. The Witch Hazel lineup is so fantastic. There are plenty of Halloween themed papers but so many other more neutral designs too. Here's my projects I created for today. I used 3 strips of my background embossed paper along with Miscellany pieces, Label Stickers, Designer Brads and Buttons. A fun scarecrow card that is adorned with punched paper, tied buttons, a designer brad and some vintage sequins from my Autumn Basket shop items. And last I created a card that my sister will love to receive. I used more pieces from the Miscellany package + I added some of my own typing for the sentiments. I love the look of the black embossed border strips on all of my cards today. The shiny raised look just adds a fun bit of spookiness to my Halloween projects. Tip: Add journaling or sentiments to cards by typing on any of the labels that October Afternoon offers. I ran the entire sheet through my vintage typewriter but I did end up losing a few labels in there somewhere. After that I peeled off the labels I wanted to use and stuck them on a piece of plastic from a page protector. I carefully fed this through my typewriter and it worked just fine. I peeled off my sticker and was good to go. Another nifty tip: If you want to use labels and pieces that don't have adhesive on the back, you can turn your Washi tape into temporary adhesive. 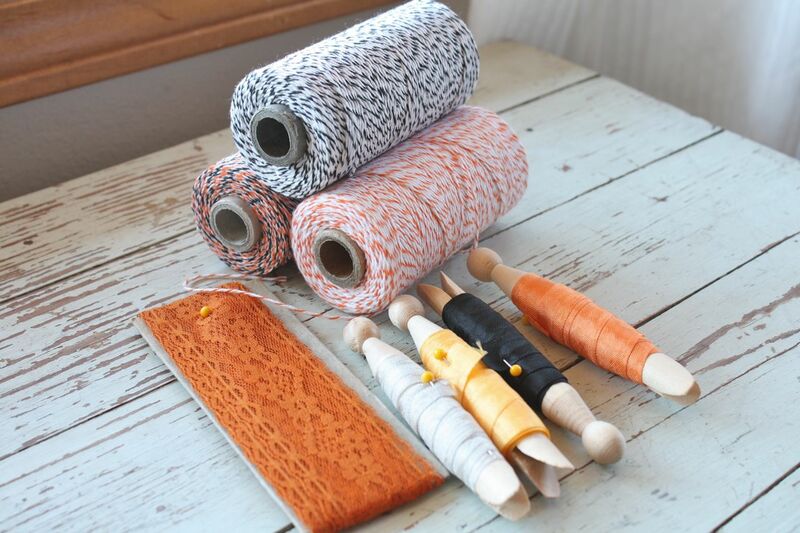 Just rub a strip of Washi on your jeans a few times to remove some of the stickiness. Then adhere your label to a piece of typing paper and run through your typewriter. You can really create some fun, out-of-the-box sentiments this way. Don't have a vintage typewriter? All I can say is......find one! You can search thrift shop, garage sales, Etsy or Ebay for some good deal on basic models. They're so awesome. And with that, I'm off to a good start on some Halloween projects. Have a great weekend everyone.